Roxanne Quimby presents "Economic Benefits of National Parks on Gateway Communities" on Monday in Millinocket. 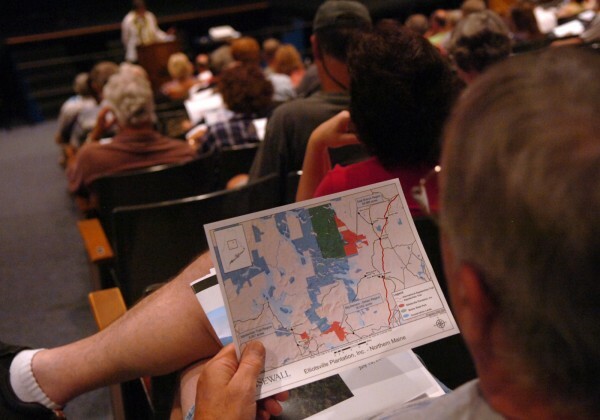 Audience members look over maps of the northern Maine region as Roxanne Quimby of Elliotsville Plantation Inc, presents "Economic Benefits of National Parks on Gateway Communities" in Millinocket. 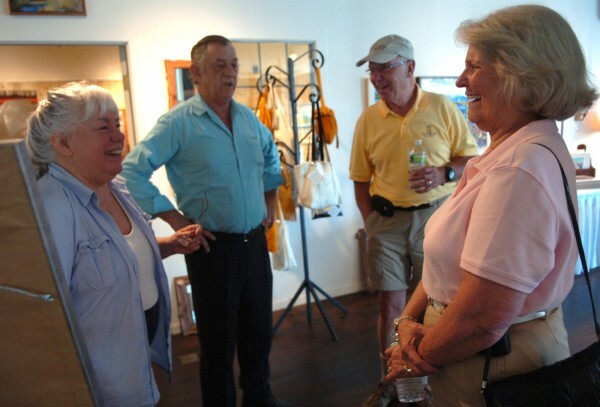 Judy Burke (left) mayor of Grand Lake, Colo., talks with Marsha Donahue (right) owner of the North Light Gallery, at the downtown Millinocket gallery on Monday, July 18, 2011. 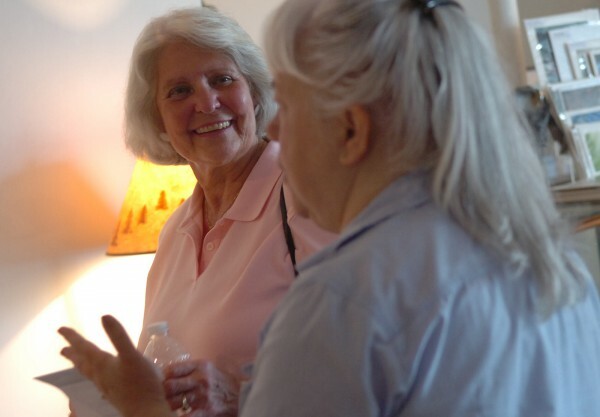 Burke was in Millinocket to share her experience as mayor of a gateway town to the Rocky Mountain National Park. Burke and Bill Pinkham, mayor of the Colorado town of Estes Park, were scheduled to attend a public meeting at Stearns High School on Monday evening concerning the creation of a Maine Woods National Park. Marsha Donahue (from left) owner of the North Light Gallery in Millinocket, along with her husband, Wayne Curlew; Bill Pinkham, mayor of Estes Park, Colo.; and Judy Burke, mayor of Grand Lake, Colo.; discuss the potential of a Maine Woods National Park on Monday, July 18, 2011, in the gallery. Pinkham and Burke were visiting Millinocket to share their experiences related to the impact of a national park on nearby communities. Both Estes Park and Grand Lake are gateway communities to the Rocky Mountain National Park. MILLINOCKET, Maine — Roxanne Quimby sees a national park as a jobs creator, not an employment killer. 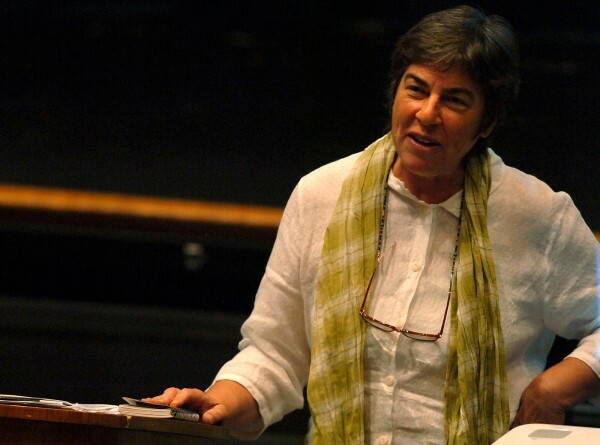 Speaking before more than 200 people at Stearns High School on Monday, the noted environmentalist and cofounder of the Burt’s Bees business empire presented a vision of the Katahdin region transformed by the presence of the national park she would want to see there. “I loved manufacturing,” Quimby said Monday of her time with her candle and honey-making business. The Legislature passed a resolve last month opposing Quimby’s initiative, which calls for her giving more than 70,000 wild acres next to Baxter State Park to the federal government, hoping to create a Maine Woods National Park. The park would be nearly twice the size ofAcadia National Park. Sportsmen would get another 30,000 acres north of Dover-Foxcroft to be managed like a state park, with hunting and snowmobiling allowed. Another 10 million acres of forestland nearby would be left to traditional uses. Opponents to the initiative, which include several Millinocket Town Council members, fear that it would be the death knell to the Katahdin region’s forest products industries. They portrayed the park service as staggered by debt and unable to care for the parks it has, and say tourism jobs offer low wages. They offered a handout illustrating some of their objections. Quimby, they said, has a history of denying sportsmen access to her land, has evicted all leaseholders from the 70,000 acres, and said there is no guarantee that she or the federal Department of the Interior would not expand her proposed park. “Roxanne has shown no willingness to date to limit her land acquisitions either here or elsewhere. There is an urgent need to protect the wood basket from preservationists who seek to take forest land out of production and disrupt the livelihoods of thousands of Maine workers,” the handout stated. Opponents also questioned whether a park would prevent the revitalization or operation of the region’s mills, thus creating more unemployment, and said that Quimby has not yet offered a detailed plan of how the park would be accessed. The Town Councilalmost passed a resolve against the park plan last month but agreed to table it after downtown business owners pressured councilors to allow Quimby another opportunity to make her case in Millinocket. The business owners also said that the council’s arguments against a study on a national park’s feasibility were misguided. Quimby saw home and land values rising, town populations increasing, small businesses blooming and taxes dropping as a result of the park, which she said also would serve to anchor local businesses. She said she had no intention of creating a 3.2 million acre park in the area, which was proposed more than a decade ago, with this effort. In fact, Quimby has pledged to help develop motorized trail use in the Katahdin region. “Ecotourism is one piece of a diversified portfolio complementing other industries,” Quimby said, citing studies that showed that national parks created economic growth in all job sectors within their gateway communities. “There is no reason to have a mutually exclusive position around a national park and the forest products industry,” Quimby added. “There is no reason to give up any forest industry jobs due to a national park. It is an additive. It does not subtract” from the forest industry jobs base. Quimby rejected arguments that the national park she would help create couldn’t be maintained. She has put aside $20 million and plans to raise another $20 million as an endowment for park maintenance, she said. If that $40 million drew a 5 percent annual return, the resulting $2 million “would be quite adequate” for park maintenance, she said. • As many as 285.6 million visits per year by tourists and $11.89 billion in visitor spending nationally at and around national parks along with more than 60 million international visitors to those parks per year. • Enough tourist and local spending to support 163,500 jobs in gateway communities nationwide. • A strong National Park Service presence that nationwide employs 26,121 people with $1,618 million in wages directly and contributing another 247,000 jobs and $15.58 billion in value added to the national economy.